In a previous post I described finding this Kodak XL360 Movie Camera in my parent’s basement. It had a used but undeveloped reel of Kodak Ektachrome 160 Type G Movie Film still in it. Well, the results are in! I was able to send it off to Film Rescue International: Revealers of Lost and Found Treasures and they were able to develop the film! The color dyes in your film are shifted or faded from age or poor storage. We attempt to correct for this during transfer. But, the kind folks at Film Rescue International were able to capture some images that would otherwise be lost forever. What the final results lack in quality, however, they make up for in content (and smiles). I took some artistic liberty with a few small digital edits and added some music. Below are the three “scenes” with some notes following each. Clip #1 — Happy Birthday! This appears to be a birthday party for one of my brothers (there are four of us). I am guessing the year is 1985. The location is a local McDonald’s somewhere in Ohio. I see myself, my three brothers, and several friends our ages. Around the 1:12 minute mark you see what looks to be a McDonald’s employee carrying a birthday cake with five lit candles to the table. There is a shadowy figure blowing out the candles who I assume is the third youngest of the brothers. We are celebrating his fifth birthday. I count four or five additional employees gathered around with the other adults singing happy birthday. When is the last time you saw that at McDonald’s? The boy in the high chair is my youngest brother, a little over a year old here, joining in the fun. This was a short eight second clip of brother #3 playing soccer. The year is probably still 1985, or possibly 1986. This section of the film was no earlier than 1988. It may even be as late as 1990. This was taken in the bedroom I had as a teenager. By this time our family had probably graduated to a more modern video camera system. 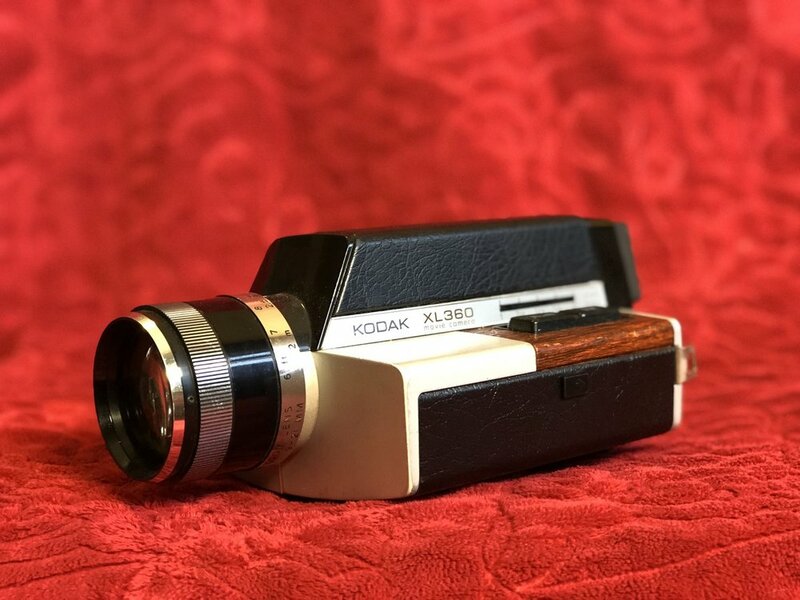 The Kodak XL360 was on the edge of obsolescence, or more likely over it. I vaguely remember this scene. Watching it for the first time in close to three decades jolted a few memory synapses in my brain. My friend and I found the old movie camera and saw there was still some film left in it. So, we cranked it up and shot away! You can tell we were amused by the antiqueness of the camera. You can see us mugging for the camera, pretending as if we were making some sort of silent film era movie (e.g., quick, choppy hand gestures and hand movements). At about the 1:05 minute mark you can even see me examining another reel of film as if it was some strange relic. There you have it! That’s not the smartest $82 I’ve ever spent ($62 to process and transfer 50’ of film, $7 for a 32 GB flash drive, and $12 for shipping and handling) but I don’t regret it for a second! Need help finding and telling your family stories?